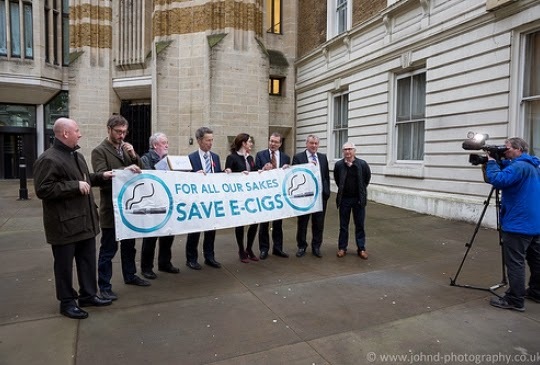 Rugby MP Mark Pawsey set up a new APPG on e-cigarettes this week in Parliament. The group will examine and scrutinise this rapidly growing industry exploring the benefits the devices could have for people looking to quit smoking. There are an estimated 2.1m e-cigarette users, or vapers, in the UK and the number is rapidly rising. The group will also examine new legislation coming forward, both European and domestic, that affects the use of the devices. Oh dear, some toes are being trodden on here. You see, there is already an APPG - whose secretariat is provided by ASH - which would claim responsibility for scrutinising e-cigs. Indeed, as I pointed out earlier this year, Deborah Arnott's huge leap in salary to over £80k pa is partly due to a tactical realignment of her state-funded organisation's emphasis. 2) To advance the education of the public concerning the effects of cigarette and other forms of smoking and their effects on the health of the community and the individual. Nothing in there about e-cigs or any other device which doesn't contain tobacco. 2. to advance the education of the public about the effects of cigarette and other tobacco and nicotine products. Of course, a fake charity entitled Action on Smoking and Health should have no business interfering with e-cigs considering they contain no tobacco and are not 'smoked' (even the OED accept that). So they should be relieved that this new APPG has reduced their workload. But then, a cynic might say that it will also inevitably reduce the number of times ASH's pet MPs can go on TV and spout conspiracy theories, as well as possibly remove control of the debate from the control freaks at ASH. And where there's less involvement, there is also less scope for gorging on tax-funded grants, I expect. So Godspeed the new APPG on e-cigs, and all who sail in her! It is intriguing,especially as the ASH APPG held that joint meeting with the Pharmacy APPG in the summer.Another APPG also got involved last week - Primary Care and Public Health - with the school kids input on advertising.Kevin Barron,I think,chairs both the Pharmacy and Primary care ones. We probably need an APPG to look after the interests of 3rd gen users! Yes I saw the appalling Primary Care doc the other day, corporatism for pharmacies. Barron is also on ASH's APPG. If you can't win by playing an honest game, then cheat and move the goalposts. This is what the ANTZ have done in now making the focus of their propaganda, "nicotine products", regardless of the lack of any evidence of harm from some "nicotine products". This enables them to portray smokers, or anyone else that uses nicotine, as "filthy addicts" , using the word addict in the commonly used fashion of today, with all the negative connotations, to further demonise those people that refuse to bow to their propaganda and laws based on nothing but confected outrage that someone is enjoying something they don't like. Vapers are just "filthy addicts" because they use nicotine, and not in a "medical" sense, (the ANTZ want so very much for vapers to be seen as patients, because they generate so much more money for pharma corps that way, and are far easier to control), but horror of horrors, for recreation and enjoyment. We can't have that can we? As ecigs are a harmless mild stimulant, wouldn't the Charity Commissioners be concerned by this change in the ASH Charity Commission document? Could I get charitable status for an organisation campaigning against coffee? is referring to in their "...other tobacco and nicotine products"? In which case, you've missed the boat! Just about says it all, doesn't it? I was wondering about the 'nicotine products' that ASH have added because of how much it is used in medicines. Many, if not most, over the counter medicines contain nicotine, but it is called niocine. Also, many prescribed medications contain niocine! Not forgetting, of course, all the NRT products! In this case, ASH should be after the big Pharma lot for plying the unsuspecting (in most cases) public with nicotine! If not, then they are not doing their job as defined by themselves, so should be cut off completely from any public funds! Yep, lol and they should be worried about all those vege that contain nicotine as well, think of the cheeeldren, (mind you most kids don't like eating vege anyway, so they are probably safe from the evil nicotine). It often amazes me how ignorant these so called experts are, when they try and argue that the nicotine in vaping is somehow not the same as the nicotine in pharma NRT, it is the exact same stuff. 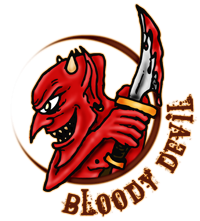 These TC people live in a world of contradictions, nicotine is evil in tobacco and vapourisers, but good in pharma products, vapers are evil because they do something that morons might confuse with smoking, even though they are not smoking, smokers are evil because they kill others around them, even though there is no proof whatsoever of this accusation. Vaping needs to be banned or turned into an expensive medicine, but the government don't want people to vape because they lose all their lovely sin tax dollars. It would do my head in to try and twist my mind around the various imaginings and cognitive dissonance these people are swimming in. When you take away all the nonsense that ANTZ bang on about, its all very simple really, its all about the MONEY. Once you realise this everything starts to make sense. They obviously think that the rest of us were born yesterday! Really it all makes them and the government look utterly stupid - then again, it's not difficult to achieve!!! From looking at the behaviour of ANTZ, it is true that they think people are stupid, they openly lie these days without even trying to justify it. The calls for bans on vaping, are based on nothing but the imaginings of ANTZ, using the old "wont someone think of the cheeeldren" line. There is no science to show any danger from vaping, for the public, or even for the vaper themselves, but these bans get made into laws. I can by tobacco cigarettes at every supermarket and petrol station in my state, but I can't by a vapouriser or ejuice with nicotine, (the nicotine ban is country wide, althought the vapouriser ban is confined to my backward nanny state). Its about MONEY, and it crosses all political lines, we have a conservative government both federally and in my state, and they are just as bad, if not worse, than the slightly less right wing opposition. Greed doesn't have a political viewpoint, it just is. I have hope that people are beginning to wake up, and people like Mr Puddlecote and many others are helping this process along, more power to their hand I say.
" There is no science to show any danger from vaping, for the public...."
There is no proven scientific evidence either that tobacco smoke is in any way harmful to others! What is harmful is pollution from vehicles, but as we can't live without vehicles today, no-one makes a song and dance about it! Children are often most at risk because they are nearer to the exhausts of vehicles, both when walking and whilst in their buggies - however, they tend to be much further away from the smoke exhaled by smokers! One of the reasons nothing much is done about the pollution from vehicle exhausts, is that just about all diseases that are caused from this type of pollution is blamed on smoking, so people really have no idea what the real culprit is. Its like a bad crime investigation, or a very good stitch up job, there is only one suspect ever considered, and all evidence that shows any other possible suspect is ignored, buried, or dismissed. Those who are the criminals get away with murder, while smokers are framed, blamed and punished for crimes they did not commit. Interesting how smoking is at an all time low, but there has been an increase in so called "smoking related diseases", anyone with half a brain would be asking questions. ANTZ and governments don't want to give up their whipping boy, but their lies are being exposed on a daily basis. Nice blog. Thanks for sharing this information with us. More information about E cigarettes click this link..